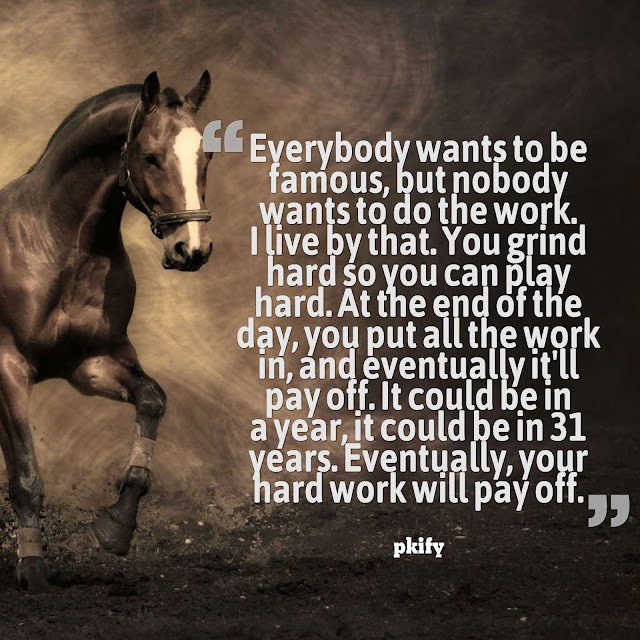 Everybody wants to be famous, but nobody wants to do the work. I live by that. You grind hard so you can play hard. At the end of the day, you put all the work in, and eventually, it'll pay off. It could be in a year, it could be in 31 years. Eventually, your hard work will pay off.